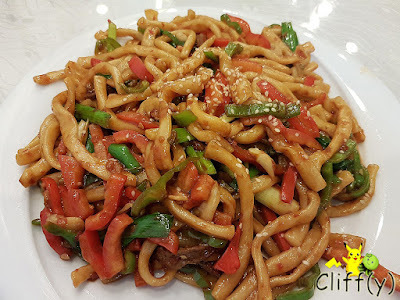 Fancy some Xinjiang dishes with ingredients like 'udon' and 'kimchi'? 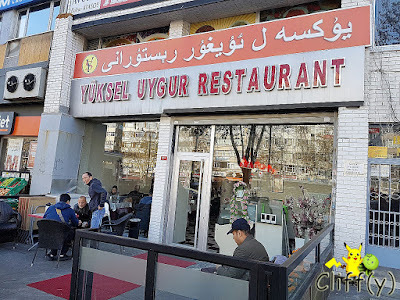 Yuksel Uygur Restaurant is my sister's to-go place whenever she's craving for Chinese food. As the name of the restaurant suggests, it serves Halal Chinese dishes. For the uninitiated, the majority of the Uygurs, who are primarily Muslims, live in Xinjiang, China. I'm always interested in trying Asian dishes in Western countries. 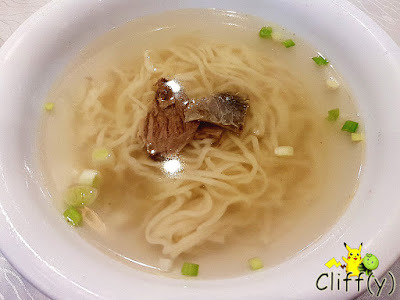 It was kinda pathetic that there were only two small slices of beef in the bowl of soupy noodle. My sister had never ordered this particular dish before, so she obviously wouldn't know how stingy they'd be with the meat. Nevertheless, the broth was comforting with its mild sweetness, while the noodle was chewy alright. 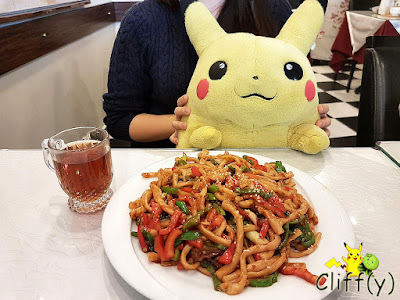 A dish that can feed two people, the stir-fried udon (Japanese wheat-flour noodle) could be heavy on the stomach for small eaters, but it certainly wasn't heavy on the palate, thanks to the moderate amount of oil used in the cooking process. Topped with sesame seeds, it came with lots of red and green peppers. I'd wanted to order the stir-fried pilaf dish, but it was sold out. Hence, I went for the sour, but not that spicy stir-fried beef dish that came overflowing in a somewhat small bowl. I enjoyed it as it was refreshing, along with the fact that the beef slices were tender. 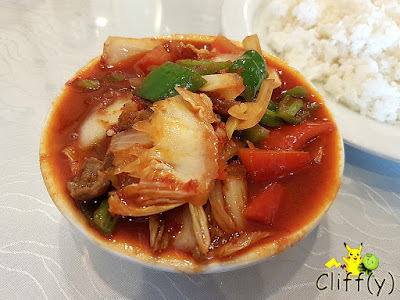 As you would've probably guessed, they added some kimchi (Korean dish made of fermented cabbages) into it. For close to S$6.90, you can expect more than twenty dumplings. FYI, for S$5.00, I can get only eight pieces from a stall at the hawker centre near where I live. Anyway, the ones served at the restaurant were more than decent. 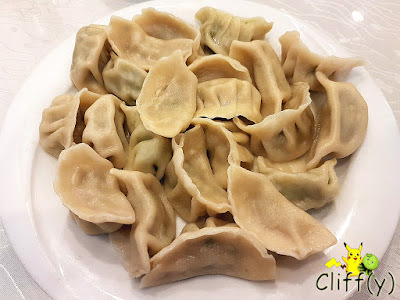 While they might be just a little bit dry outside, which could be solved by dipping them in black vinegar (not shown), the filling of ground lamb was quite juicy. 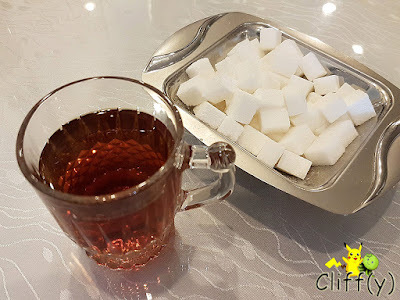 I have to mention that the gratis free-flow tea was truly fragrant. I drank one cup before the food came, and another two cups at the end before leaving the restaurant. My sister, BFF and I came out of the restaurant feeling stuffed. 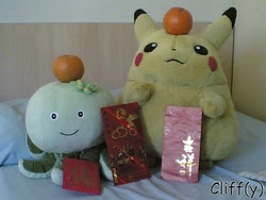 Pika's advice: The menu booklet doesn't have a dessert, but there are some cake slices displayed near the payment counter if you're interested.